They say that most business is being done online from computers, tablets and smart phones. The bridal industry is different as face to face marketing is the most effective way to engage with potential customers. The best way to do this is through a bridal show and that’s where Kiss The Brides Expo comes in. Since 2003, we have been the nation’s leader in consumer bridal shows and expos designed to give wedding professionals the opportunity to reach more potential clients and become more successful. Founder of the Kiss The Brides Expo and former Board Member/ Communications Director of the Bridal Show Producer International Association ( 2012-2014 ) Ralph Desuse provides the knowledge and experience needed to increase your business and introduce your brand or product line to a national audience. 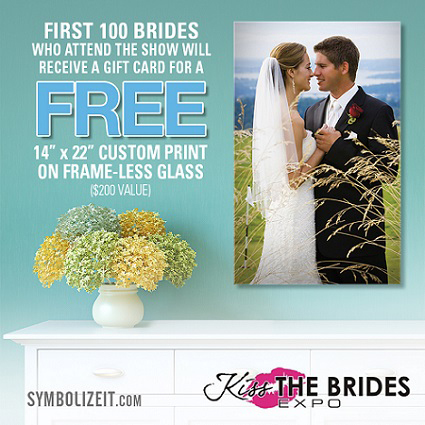 Using effective face to face marketing, advertising, sales and branding techniques, Kiss the Brides Expo will work laterally with you to create a solution that meets your needs and will help grow your business. From travel and tour companies, florists and caterers, to venues, bridal gown and accessory retailers and more, Kiss the Brides Expo has you covered. If you want to reach more consumers and grow your customer base, contact our team of wedding show professionals and let them show you what Kiss The Brides Expo can do for your business now. Contact us to learn more about Kiss The Brides Expo and to include your business in an upcoming event, contact us today and we will be happy to answer any questions you might have about growing your business.